" FORT WAYNE, Ind. (WANE) - The five flag poles that line the entrance sidewalk to the VA Northern Indiana Health Care System at 2121 Lake Ave. typically fly flags of the country's five branches of military: Army, Navy, Marine Corps, Air Force and Coast Guard. 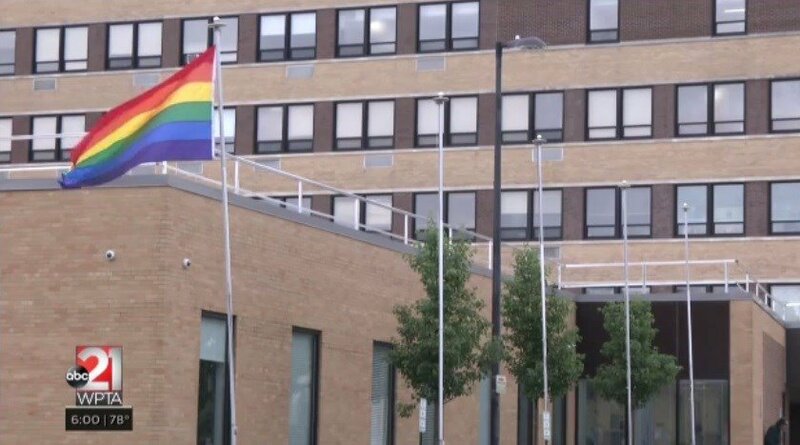 On Tuesday, through, those flags were taken down and just one was flown in their place: an LGBT pride flag. June is celebrated as Pride month around the country. The sight drew plenty of attention from residents and visitors to the VA. NewsChannel 15 received several questions and comments and photos from viewers. " Ironic that satanic sodomites have usurped and perverted God's rainbow symbol. Christ said the end of the age would be as in the "days of Noah" and "days of Lot." In the "days of Noah" society had degenerated and race-mixed past the point of no return. that God would never again destroy by water. In the "days of Lot" Sodom's perverted society had degenerated past the point of no return. God destroyed all but a remnant via fire from heaven. that sodomites have now usurped and perverted God's rainbow sign. the fiery yellow/orange/red colors symbolize the "days of Lot." the last remnants of God's Aryan Christ-bearing people ["camp of the saints"] is happening now. Gog/Magog and its ally who thinks it's secure on the coast is destroyed by God's fire from heaven. Below is an article that exposes another huge military problem = women. not women, not children [teens] and certainly not sodomites and other perverts. Rangers Lead the Way to the Maternity Ward! Edited by Atossa, 13 June 2018 - 08:15 PM. nor should there be words to describe this satanic evil. while they protect and praise sodomites who pervert and destroy inside their own countries. Ironic that satanic sodomites have usurped and perverted God's rainbow symbol..
Sickening. They should have taken something else - but not a rainbow. 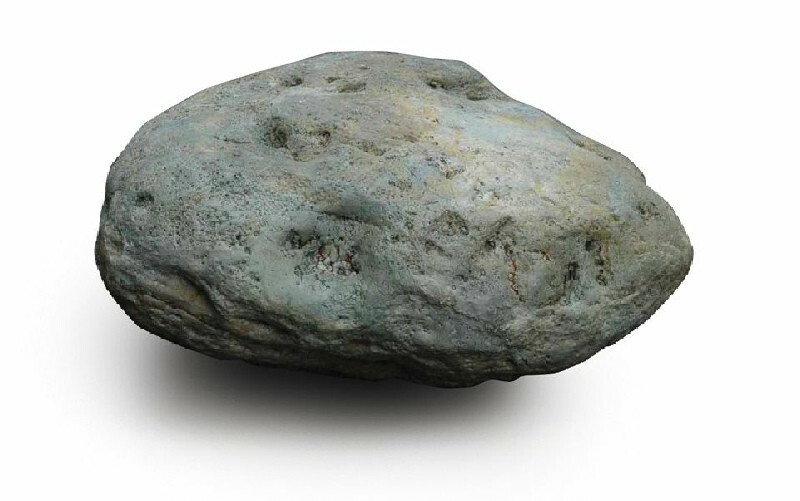 A stone. Because someone in the bible was turned into a rock or something. Del Rio is on the Mexico border with an overwhelming Mexican and sodomite population.
" His high heels are between three and four inches tall. They're patriotic heels with an Americana theme. They are your basic, bedazzled-flag high heels made to fit a male veteran's foot. Google Mayor Bruno "Ralphy" Lozano of Del Rio, Texas and a good chunk of the headlines youll find mention that Mayor Lozano wore heels in his city's last Veteran's Day parade. The headlines also tell you that Lozano is the youngest mayor elected in his town's history, he's a flight attendant, gay and a veteran. Lozano was one of 52 LGBTQ candidates who ran for office this year in Texas. " Edited by Atossa, 14 June 2018 - 04:15 AM. Jesus recommended millstones to be tired around their necks to drown them in the sea. 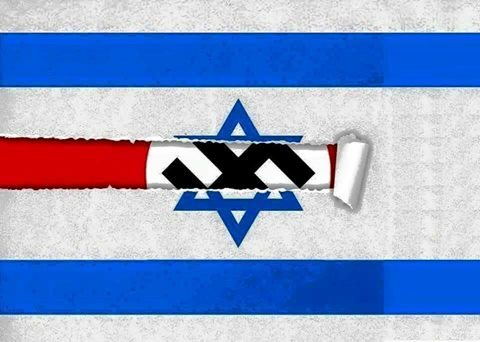 The symbol hidden behind the star of David should be the communist hammer and sickle. Most of the founders of the Edomite-jew state were born in the Russian empire. The Edomite-jew ruled USSR was the first nation to recognize the Edomite-jew state that still maliciously occupies and perverts Palestine. Putin continues to praise and promote that satanic antichrist Edomite-jew state. There is a reason those who promote degenerate family-destroying perversions are called "cultural marxists." After their 1917 revolution in Russia, family-destroying Edomite-jew-bolsheviks legalized homosexuality and abortion. Cultural marxists promoted that same family-destroying degeneracy in Weimar Germany. When Hitler came to power, he strengthened and promoted the German family by outlawing homosexuality and abortion. Edited by Atossa, 17 June 2018 - 06:44 PM. Putin pretends to want to increase Russia's low birth rate... but if he were really serious about promoting the ARYAN ETHNIC RUSSIAN birthrate, he would promote Aryan ethnic Russians [NOT antichrist jews, immigrants and other mongrel infidels.] He would promote a moral family-oriented Aryan ethnic Russian Christian culture. He would outlaw homosexuality, abortion and race-mixing. But Putin does none of that because he is the Protocols' Edomite-jew-bolsheviks' Khazar king. Edited by Atossa, 17 June 2018 - 07:19 PM. There must be some words to describe it. Happened in Hollywood. an underground container for the temporary storage of liquid waste and sewage. a disgusting or corrupt place. "they should clean out their own political cesspool"
Edited by Hellboy, 18 June 2018 - 02:47 AM. Race-mixing and homosexuality are two major abominations being forced on all [former] Aryan Christian nations. In Luke 17, Jesus said the end of the age would be as in the "days of Noah" and "days of Lot". Both are Biblical examples of abominable societies who were destroyed because their evil had reached the point of no return. The abominable sin in Noah's day was race-mixing. The abominable sin in Lot's day was homosexuality.
" KIEV Ukrainian police said they had detained 56 members of far-right radical groups in Kiev yesterday after scuffles before the capital's gay pride march. Otherwise, the annual rally of several thousand supporters of lesbian, gay, bisexual and transgender (LGBT) rights took place without serious incident. Early in the morning, more than 150 far-right protesters had sought to block off the route of the march through central Kiev. Small clashes broke out when police in riot gear moved to clear the street."